Learn animals with Igor in this episode of Igor and Arina’s kids’ videos where you can also learn how to sing Five Little Monkeys. 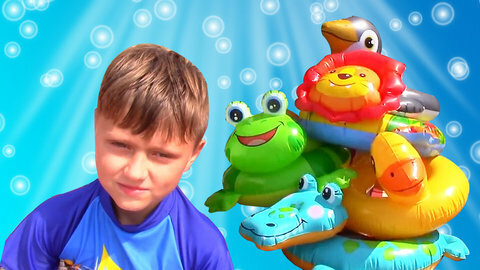 Igor takes a break at enjoying the pool and teaches viewers about different animals by using his floaties. Sing Five Little Monkeys with him in this video while naming the animals and their color. Learn more by watching more videos that you will find at SeeZisKids.com.